Hollybeary Creations : YNS New Release Sneaks!! Happy Saturday everyone... It's time for the Your Next Stamp New Release sneaks!!! Be sure to head over to the YNS Blog to see more sneaks of the sets releasing tomorrow. 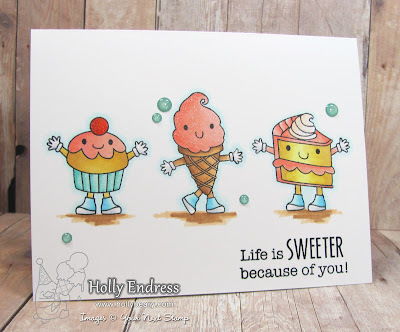 I'm using the super cute new set Cute Foodies today... I stamped 3 of the images onto a White card base using some Memento Tuxedo Black ink. Then I colored each image in with Copic markers. I used similar colors in each image to tie them together. I added some Clear & Red Wink of Stella to parts of each image. I stamped the sentiment in the lower corner using some WPus9 Black in and then I added a few Sparkly Teal Gumdrops for a bit more sparkle. Head over to the YNS blog for some more Sneak Peeks.. and don't forget to join us tomorrow for the Full Reveal and a Blog Hop with Prizes! Cute, cute, and CUTER! 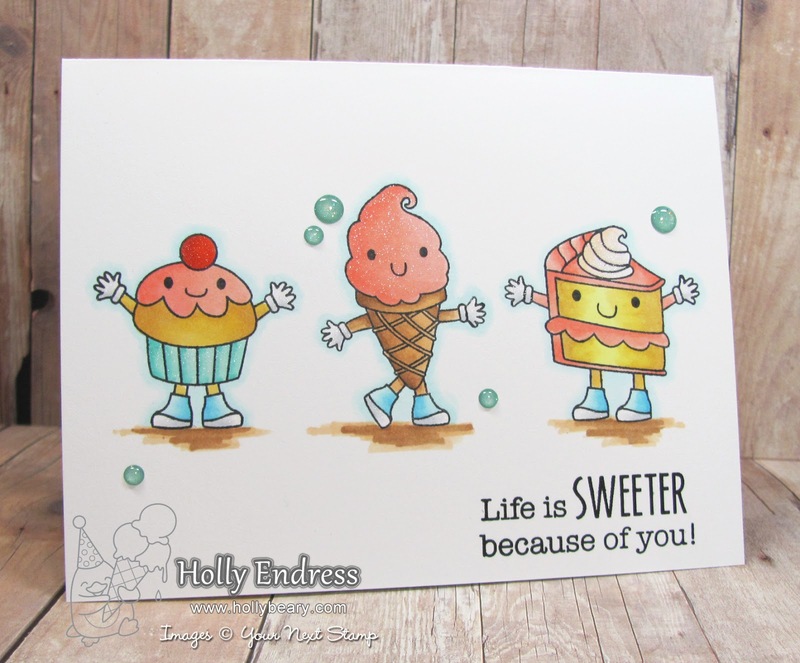 Adorable card, Holly!! The simple layout is perfect for this busy image! 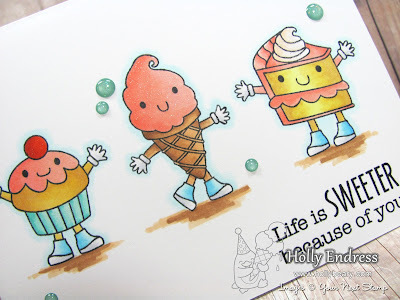 These are sure to make the recipient smile! Made me smile,for sure! These little cupcakes and cakes are SO cute! I love the great color!